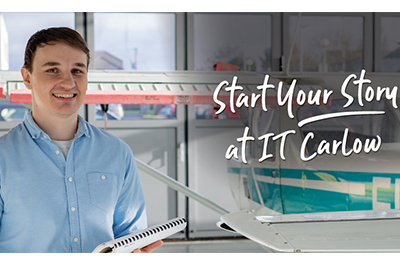 Institute of Technology Carlow invites all prospective students, parents and guidance counsellors to its annual open evening on Wednesday 16th January from 6.00-8.00pm. The event offers attendees the chance to speak with lecturers and current students about courses and the many benefits of being a student at the Institute. Campus tours and information in such areas as: admissions; fees and grants applications and the Institute’s many clubs & societies will also be available on the night. The Institute offers a wide range of internationally-recognised full and part-time programmes, from Masters Degrees to Certificate courses, across a variety of disciplines. These include: Business; Accounting; Law; Engineering; Computing; Science and Health; Humanities; PR and Media. This year, students can also apply to a number of new CAO courses which were launched by the Institute in November, 2018. Institute of Technology Carlow is one of Ireland’s most progressive and innovative multi-campus higher education providers. With almost 8,500 students studying across a broad spectrum of career-focussed courses, offering prominent national and international industry links. The Institute’s Faculty of Lifelong Learning offers part-time courses across the Carlow, Wexford and Wicklow campuses as well as affiliated industry programmes in Dublin. One of the most attractive aspects of Lifelong Learning programmes is that they are designed to provide maximum choice and flexibility to learners who wish to obtain qualifications from NFQ Level 6-9.